Just came across this really fantastic and unusual collection of 19th Century Japanese medical woodblock prints on the Pink Tentacle website, which sourced them from the extensive University of California San Francisco (UCSF) Japanese Woodblock Print Collection website. 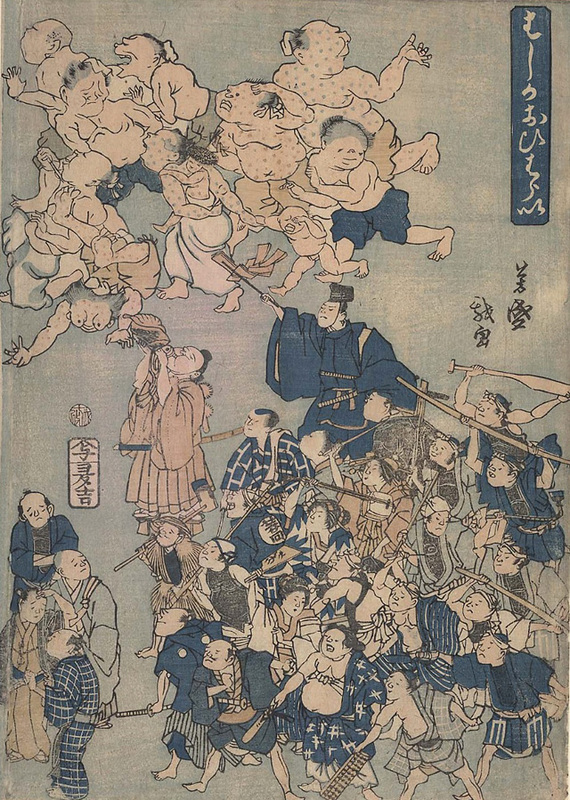 The UCSF Japanese Woodblock Print Collection consists of four hundred Japanese woodblock prints on health-related themes. Of those, more than half are colorfully illustrated in the ukiyo-e manner, the remainder being printed single-sheet texts. 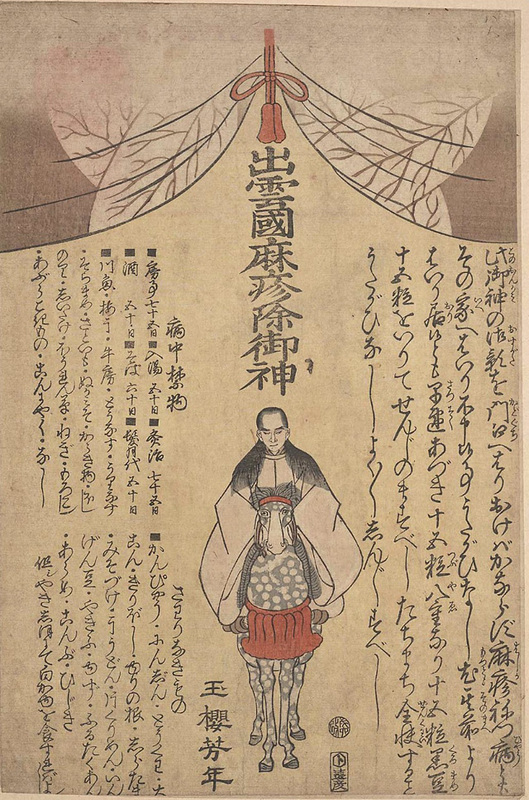 From the treatment and prevention of diseases like smallpox, measles, and cholera, to the stages of pregnancy and drug advertisements, these prints offer a unique window into traditional Japanese attitudes toward health and illness. The majority of the prints date to the mid- to late nineteenth century, when Japan was opening to the West after almost two hundred and fifty years of self-imposed isolation. Thus, they provide valuable pictorial evidence for the effect of Western medical science on traditional beliefs and practices. The woodblock prints in this collection offer a fascinating visual account of Japanese medical knowledge in the late Edo and Meiji periods. Collectively, they record a gradual shift, by the late nineteenth century, from the reliance on gods and charms for succor from disease, to the adoption of Western, scientific principles as the basis for medical knowledge. They show the introduction of imported drugs and vaccines and increased use of printed advertisements to promote new medicinal products. You can view the entire collection on the UCSF website--arranged by the themes Contagious Disease, Drug Advertisements, Foreigners & Disease, Religion & Health and Women’s Health--by clicking here. I HIGHLY recommend clicking on each image to view larger, richer, and more detailed image. From Pink Tentacle via Ellettrogenica.